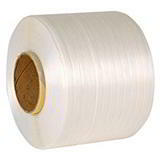 Woven & non-woven polyester strapping, the modern alternative to steel! Polyester strapping, also abbreviated to PET strap is twice as strong as polypropylene, strong as steel and retains up to 25% higher tensioning over sustained periods without elongation. 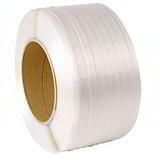 PET strapping is also safer to use than steel, as it does not present a whiplash hazard or have sharp edges. 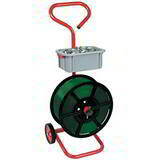 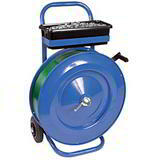 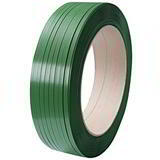 It is lightweight, supple, easy to handle and will not rust, scratch or stain your packaging products. 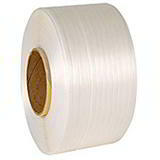 Monofilament, non-woven corded polyester strap provides the same performance as steel strap at a fraction of the cost. 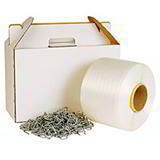 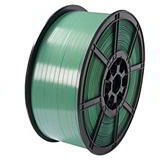 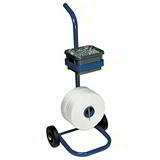 And with three times more strapping per reel, companies are saving up to 78% by converting to polyester cord strapping. 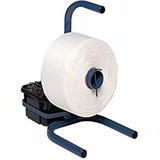 Ideal for pallet banding and heavy duty strapping applications such as securing rigid loads, bricks, timber, export cardboard boxes and textiles. 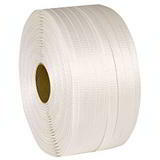 The latest generation of super tough, non-woven polyester strapping is the modern, great value alternative to steel strapping.